I know we're all huge fans of Frillian, but what about Dash? Not that I think most Witches of East End fans have forgotten (even though we totally have), but Freya Beauchamp was engaged to Dash Gardiner first. And the Lifetime series' resident doctor-turned-warlock definitely still deserves our attention — even if Dash might die on Witches of East End Season 2. So, who is Dash's IRL counterpart Eric Winter, aside from a man with oceanic blue eyes that quite possibly hit a genetic lottery? Well, for one, there's definitely more to know about him than that he plays a Frillian casualty. You've actually seen Winter on a handful of popular series before, even though I can't imagine how you could forget. The 38-year-old actor held a four-year spot on Days of Our Lives, played Rob Lowe's brother on the ABC drama Brothers & Sisters, and played Katherine Heigl's temporary love interest in The Ugly Truth (her character eventually decided to date Gerard Butler, sigh). So, ahead of getting dumped on Witches of East End, Winter was a pretty busy guy. In real life, Winter is married to singer Roselyn Sanchez, with whom he has one daughter named Sebella, and spends his time being a generally adorable dad. Well, when he's not on the WOEE set being a powerful warlock. 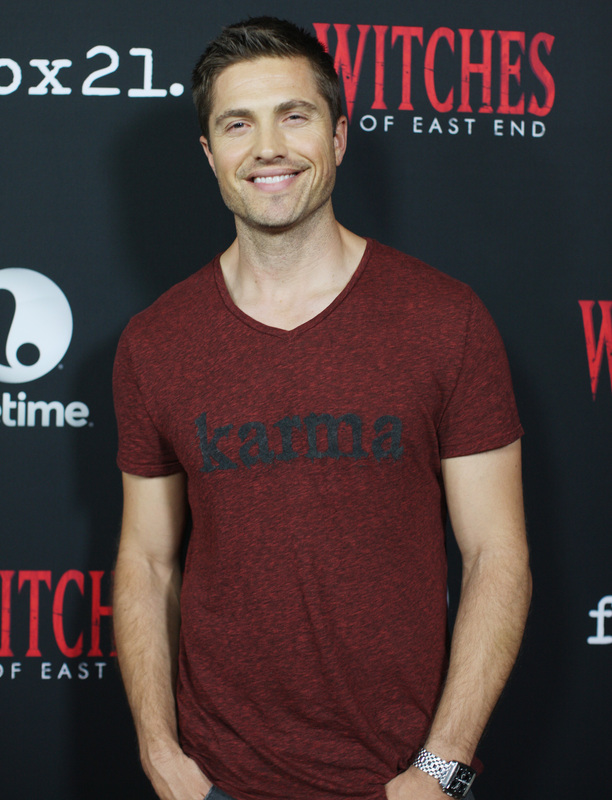 So, here's what you need to know about Eric Winter from his amazing Instagram shots. Winter's Instagram doesn't have that many photos, but he has at least three selfies with his wife. Which are —sigh — adorable. I've heard of these keyboards for iPhones, but I've never actually seen someone use one before. I guess it's possible to be team Blackberry and team iPhone at the same time. How cute is this? I know, your brain and heart just melted at the same time from the cuteness. There are animal lovers and then there are all-animal lovers, apparently Winter is one of the latter. He's neither deterred by snakes nor this raccoon that tried to break into his house. Oysters with sorbet? Guy Fieri would totally approve. In this photo, Winter's paragliding in Colombia, but his Instagram is full of photos of the actor canoeing, hiking, and "paw paw racing." So that means he's basically friends with Flo Rida, right?